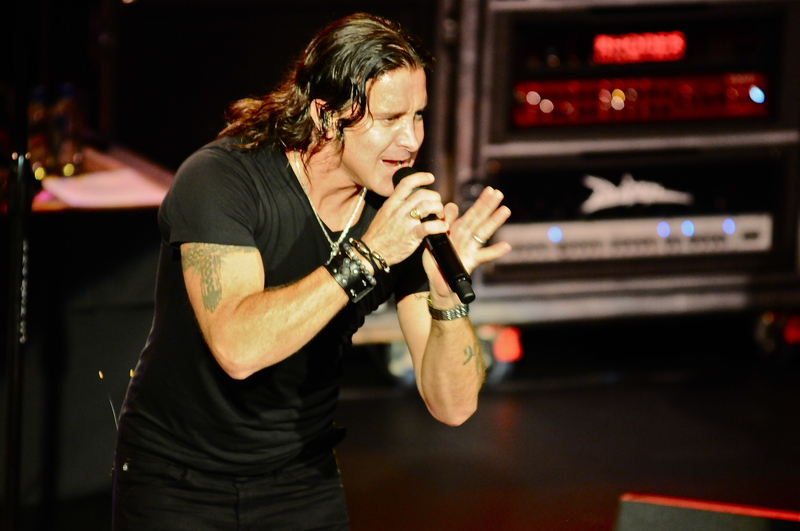 Friday evening Scott Stapp the voice of Creed played the intimate Bear’s Den. Stapp released his second solo disc this past November entitled Proof Of Life with Creed in the midst of an indefinite hiatus. The show was a blend of Creed staples alongside the majority of the aforementioned Proof Of Life. Stapp opened with a strong pair of cuts from his latest release in “Slow Suicide” and “Who I Am”. The intimacy of what many call the best sounding room in town, gave everyone a chance to catch the enigmatic Stapp in top form. The high point of the show was in the middle where Stapp played the big three from Creed’s catalog. He started off with the band’s lone number one, “With Arms Wide Open”. It was during the next song “Higher” that brought the majority of the crowd out of their seats and was the first standing ovation of the night. “One Last Breath” another perennial Creed favorite amongst the fans followed. Stapp chose to close out his main set with two of the better tracks from Proof Of Life in “Jesus Was A Rockstar” and “What Would Love Do”. The former written with ex-American Idol judge Kara DioGuardi and the latter with songwriter-producer Toby Gad both of whom have had numerous hits and collaborations with many artists. Creed is widely considered one of the top bands of the 2000s as they remain one of the best selling artists from the era. With the band on hold at the present time seeing Stapp live is the only way for Creed fans to see their songs performed in a live setting. Stapp’s current band do the songs justice as his powerful voice sounded as strong as it ever has as evidenced during Friday evening’s performance. His new material is nothing to overlook either.